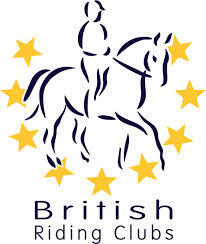 British Riding Club is a body made up of more than 430 Affiliated Clubs and 21 Riding Centres and in excess of 36,000 members. The clubs span right across the UK, from the Orkneys to the Channel Islands. The British Riding Clubs movement aims to reach all types of horse and rider from the dedicated competitor to the happy hacker. They offer a whole range of support and encouragement for riders, including national competitions, qualifications and social events. Benefits of joining an affiliated club..
Show.Rallies/Lessons - Group lessons (rallies) and private lessons are organised by clubs at a discounted rate to members. BRC Membership Card - Simply quote your membership number, or produce your card, to get a discount for BRC members. Insurance - BRC members have Third Party Insurance cover while competing at affiliated BRC events. For further information, contact South Essex Insurance Brokers (SEIB) on 0845 4500634. Rider Magazine - BRC’s quarterly magazine keeps all members up-to-date with news, information and articles. Training - BRC offers comprehensive training including Senior Horse Welfare 1-4, Equitation 1-4 and Junior Equitation and Horse Welfare 1-4.Horse Welfare Scheme - Horse Welfare Advisers offer equine management advice and support to BRC members.